It’s not all digital bells and whistles at Upleaf. Though we all love a flashy, pretty veneer, it’s the underlying infrastructure that keeps your website running like a well-oiled machine long after we step away. Upleaf’s primary concern is making sure you are meeting your strategic goals. After we have carefully mapped out overall strategy objectives, target audiences and benchmarks, we examine how to beef up your Search Engine Optimization (SEO) so your organization stays visible. Once your website is all up and running, we help monitor your online status and presence to make sure we’re achieving the desired results. Nowadays people rarely click to the second or third page of search results. The best pages might not always rise to the top of a Google search, but the smartest pages do. 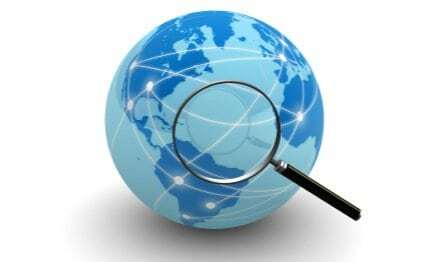 We want to make sure that your organization comes up in the upper echelon of search results related to your core issues or programs. We start by identifying the right keywords then weave them naturally into the content on your website as we’re editing. 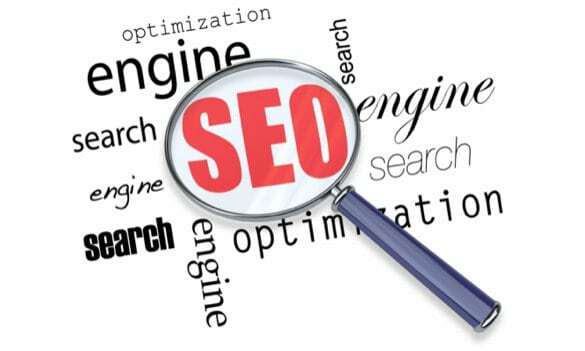 Most strategic keywords are also placed either as page titles or headings to reinforce their importance on the site. Let’s say your company works to prevent Irish potato famines from a website called nomorepotatofamines.org. We would pull out the most characteristic phrases and buzzwords like “blight resistant potatoes” or “Irish potato famine prevention” and pepper them naturally throughout your site. Then in the unlikely event of a certain crop failure in Ireland, your website would be well positioned on web searches of these terms. We also know that Google prioritizes fresh, new content. Sites with stagnant fixed content are given less importance in search rankings than sites that regularly post news or resources. We work with your team to develop an ongoing content generation strategy that will help you climb to the top of search rankings over time. Meanwhile, as strategic wording continues to reinforce your identity, we also configure the backend of your website to support your SEO strategy. Each time you publish new content you website sends come hither messages to all of the search engines, alerting them to index that content. We also make sure that all meta tags and descriptions are appropriately crafted and pulling the right content. We then set up tools for your team on the backend of the site to help you review which keywords your content is optimized for, as you edit. If you have a Google Adwords account, we integrate your Adwords keywords to help make sure your landing pages are consistent with those keywords, thereby improving your quality scores. Every website should have Google Analytics (or a similar system) to track your traffic, visitor demographics, most popular content, traffic sources, and more. We prefer to use Google Analytics because it’s free. Upleaf takes the standard Google Analytics setup a step further by customizing dashboards for our clients to help keep tabs on their key indicators. We can also program conversion tracking so that you can see at a glance whether your site is leading visitors to take the desired action. How many are downloading content? Joining your organization? Signing up for email updates? Taking advocacy action? Conversions help index these things and also tell us where people are dropping off in the process. Oh but there’s more strategery–much more. Once we’ve set up your custom dashboards and conversions and walked you through how to interpret the data in your Analytics account, we pick your top ten indicators and set up monthly reports to be automatically sent to you by email. This helps all key staff keep tabs on your website and pick up on any interesting trends. Of course, you can always log into your account to view more detail, but we find that the monthly reports help everyone stay on track with the strategy. For clients who would like continued guidance, we offer quarterly strategy review meetings. In preparation for each quarterly meeting we review your full online presence and prepare a report with recommendations. We then meet to walk through together what’s working and what’s not. We offer ideas to help shore up strategies and outline key activities and goals for the next quarter. Carving out this time for evaluation and reflection as a team can bring new vigor and clarity to your online strategy. Then you can get back to the fun work of polishing your web presence and engaging with your community.